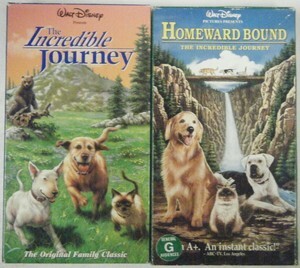 Both Versions Of The Classic Film, "Homeward Bound" On VHS. . Wallpaper and background images in the Disney club.